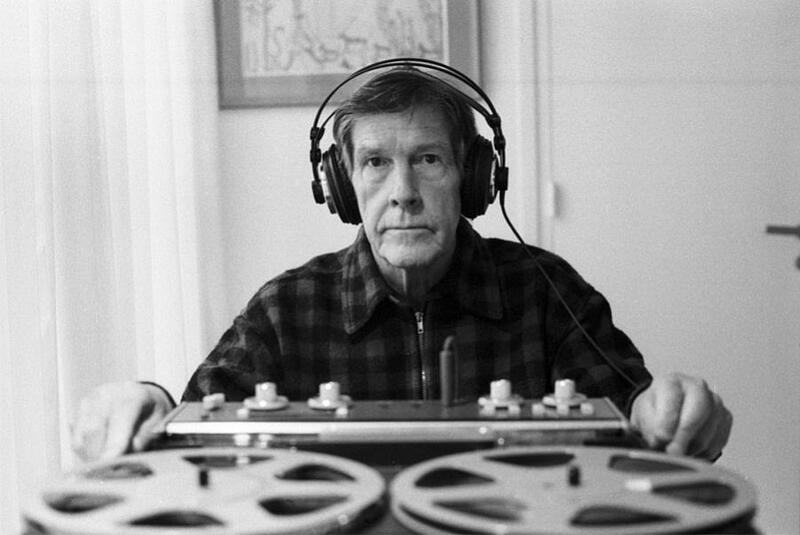 In his book "Empty Words," a collection of his writings from the mid to late 1970s, John Cage has a paper entitled "The Future of Music". It is a fascinating paper to read and, to my 2017 ears, very prescient. Of course, the future of music is not a foreign subject to Cage for, since his first involvement with music in the 1930s, he had always had a far-sighted approach to what would be coming down the musical pipe and where we would be going. It was in 1937, in another writing of his, that he had predicted that music would become electronic and that then music, as we previously knew it, would change forever. He was, of course, utterly correct about that. It is strange to read a paper first delivered in 1974 that is about the future for, of course, I writing this and you reading it are in it. This gives us an angle on Cage's thoughts and pronouncements that he couldn't possibly have had for we know what happened whereas he could only look and imagine. Nevertheless, Cage, as I have already suggested, seems to do remarkably well. Even from 1974. In "The Future of Music" Cage is suitably modest. Were someone else writing the paper and not he they would have good reason to argue that Cage did his own fair share of heavy lifting to bring in the very future he talks about. When Cage refers to others (for he was surely not alone) who have worked to drag the future into the present he does not mention himself but, of course, he would have every right to do so. Cage was one of a number of those who worked early on with electronics. Before that he had invented the prepared piano, something that survives to this day. He had pioneered the usage of other people's recorded music as something to be reused and altered in performance which later would be called sampling and become the basis for whole branches of electronic music. So Cage was no effete thinker sitting and observing what the future might be like as some academic philosopher of music. He was one of those making it, a practitioner, a doer. And not only did he work to smash the barrier between the acceptabilities of now and those that would be acceptable in the future, sometimes he erased the boundaries of musical acceptability too. Even today, in 2017, a time we would regard as much freer musically, there are those who tut and shake their head at Cage's name. His idea that all sound is music is anathema to them and still an unacceptable outrage. And yet Cage in 1974 begins his paper thus: "For many years I've noticed that music - as an activity separated from the rest of life - doesn't enter my mind." He goes on to say that "Strictly musical questions are no longer serious questions" for him. There is something going on here and it has nothing to do with music as a discreet subject hacked off from life and treated as something you do in a sectioned off portion of it. Music and life are somehow intertwined here, inseparable. Cage, by this time already about 40 years into his entwinement with music, can look back at how music has changed over several decades. He can see how, when he started, people were still fighting for the idea that noises, then thought different to sounds, were something beyond the musical pail. He mentions Edgard Varese and says he fought with him (against the musical establishment) on the side of noises. He recounts how, in the 1930s, the only notable piece of percussion music was a piece by Varese himself ("Ionisation") but that, already by the 1940s, several hundred had appeared. This strikes me as odd but I genuinely think that many of us know little of how radically music changed between the start of the 20th century and when we came into it towards the latter part of it. We reading this now are the electronic music generation but Cage was one of those that brought it to be. He knew music before electricity whereas we do not. A musical comment of Cage's in the paper makes this point in a way I find vaguely amusing: "Sounds formerly considered out of tune are now called microtones." So between the 1930s and 1970s Cage sees that music has changed and it was because of musicians being brave enough to step outside of its presumed boundaries and just do something different. This was not always an easy thing to do. Cage himself, for example, was often poor and relied on friends or sponsors to survive. His turn to indeterminate music did not help him in this because it made many a respectable musician (or potential sponsor) turn their back to him and regard him as persona non grata. But Cage was not for turning back and would struggle on with his own wayward, indeterminate thoughts in his head. Music for him, and those like him, was an exploration. Electricity made sounds and combinations of sounds possible that could not happen in the natural world and he was determined to explore them. There was a time this was called "experimental music" and Cage did not like this. But he came to accept that description for it. In "The Future of Music" he notes how the work done in the 40s and 50s presaged a change in the way we perceive both sounds and time and that aspects of both became tolerable that formerly were not. The picture as a whole is one of discovery, of widening boundaries. This, of course, will always scare those who perceive of themselves as protectors of the old or of orthodoxy and Cage, as the prime example, is a composer who divides people straight down the middle with his ideas and approaches. Cage notes that, in 1974, "Anything goes" but he states that, even then, "not everything is attempted." One interesting distinction Cage makes here, and its one that has come very much into his future and our present, is the idea of music as process. Formerly, Cage reports, the guiding idea was "structure". "Structure," says Cage, "is like a piece of furniture, whereas process is like the weather." He means to suggest that structure is known and can be probed. It is defined and definite. You can look at a table or a chair and see where all the bits go and how they fit together. But with weather this isn't quite so. We can, of course, observe changes in it but we are never quite sure how it fits together or where the beginning and the end of the changes are. There is no sense, at any given moment, just exactly where we are. In structure we would know. We could pinpoint our place exactly on the table. Not so with weather, our symbol for process. Here we are forever in what Cage calls "the nowmoment" but we are never sure how that nowmoment relates to all the other nowmoments that shall be and shall pass away again. This metaphor, applied musically, changes things. This spatial sense seems to change music itself and alter time, a crucial aspect to music, and how you experience it. Imagine not knowing exactly where you are in your musical piece. Imagine being stuck in a moment and then working within that moment to negotiate your way to the next one. A musical structure is an object rigidly defined. But a process is not and neither can process be rigidly defined. Cage notes that "were a limit set to possible musical processes, a process outside that limit would surely be discovered." Process can include objects too but the reverse isn't true at all. If you are thinking this process conception is very much like a view of the world not as discreet objects but as of all nature together as an environment I would very much agree with you. Cage goes into a discussion of what he calls "closed-mindedness" and "open-mindedness" and this is a very important section of "The Future of Music". He calls the difference between these two "the difference between information about something... and that something itself." He quotes something written by Charles Ives to strengthen this point: "Nature builds the mountains and meadows and man puts in the fences and labels." Cage says that now "The fences have come down and the labels are being removed." That is, if we are open-minded. The closed-minded still take it that men should put up their artificial fences and apply their fabricated labels to the mountains and meadows of music as if they were inviolable elements. For the open-minded, as Cage sees it, they are not. "An up-to-date aquarium has all the fish swimming in one tank" is Cage's musical vision and this is a tank full of all the sounds and noises that are made, and that could be made, and the musics that could be made with them. It is here that Cage surveys his musical history and gives reasons for why this spirit of musical open-mindedness has come about and they are interesting ones. First, because "many composers" took up battles for new musical expression, casting off old rules in the process. (This is where Cage could have used himself as a prime example but didn't quoting Cowell and Varese amongst others instead.) Second, Cage notes the changing technology which made changes in sound and therefore music inevitable. This is a point I have made in blogs before but regarding a period after Cage had written this paper. Yet Cage is writing about a period in which tape recorders, sound systems, computers and the first properly usable synthesizers were invented. Of course such inventions would change music. Thirdly, Cage notes that even by the 70s there is what he calls "the interpenetration of cultures" happening. In some spheres this is regarded as a bad thing and much political strife has ensued because of it. But, musically conceived, this has opened up cultures to other ways of conceiving things with the result that the whole is changed. It is to recognise that "music" is not how your culture conceives the rules for such a thing to be at all. Cage's final reason for the open-mindedness is that there are now more of us and more ways than ever to get in touch with each other. Cage could not have known in 1974 how this would exponentially increase. Speaking in his time and place writing the paper he was thinking of telephone and aeroplane. Now we can compose together live on electronic devices linked by wifi or over the Internet. We can musically collaborate with people we will never meet in real time. Cage's point is that when we are exposed to others it inevitably changes us. "Open-mindedness" is the inevitable result. It is here that we begin to intuit again that, for Cage, music and life are not to be separated. There is some sense in which they are an indivisible organism. As life changes, music will change. As in other places Cage will say we should be open to the life, and so the sounds, that we are living, so here the sense is that our changing lives will be changing music and we should not resist this. We should welcome the change and the new experience rather than, scared and timid, clinging on to rules and formulations which give us a false and unnecessary sense of security. Cage's own change in attitude towards music came when he found he could no longer hold on to the orthodox view of music as communication. He found, he reports in an autobiographical statement, that people would sometimes laugh at music he intended to be somber. So for him the communicative model was a failure. Searching around he found within the Buddhist tradition the notion that "Music's ancient purpose (was) to sober and quiet the mind, thus making it susceptible to divine influences." In modern atheistic ears this sounds a bit queer yet we need to remember that Buddhists are not theists either and they believe in no god. So this cannot refer to actual divinities. The question then becomes what it could refer to and this is a riddle I think each musician should tackle for themselves. In any case, it is inescapable that one must recognise that Cage's musical appreciation after the mid 1940s is completely linked to his Buddhist education. Thus, I think, it is unarguable that this is why Cage sees music and life so entwined. But we do not need to be Buddhists ourselves to appreciate Cage's insights which can be taken on their own merits. This therapeutic use of music, if that is what it is, is much in evidence today (Cage's future) as ever more people listen to or play their own music as a means to relax, unwind or simply be taken out of the space in which their daily lives are going on. Cage builds upon his reasons for open-mindedness and talks about "the non-political togetherness of people". In musical context he sees the future as being about the collapsing of distinctions between composers, performers and listeners. This has to be seen against a historic background in which these roles were rigidly defined and, indeed, separated. One strand here is the invention of indeterminate music (again, he examples others such as Feldman and Wolff as opposed to himself) which gives performers instructions about what to do but not necessarily what to play. So performers, those who have not written the music they play, then become part-time composers in playing within the instructions they have been given. The idea here is of "co-operation" which is another name for what is essentially the making of music socially. Again, and secondly, Cage mentions technology in this regard as it blurs the lines between the roles of composer, performer and listener. Cage, anachronistically to our ears, refers to the people of 1974 who could afford to buy a camera and so regard themselves as photographers. Today we have phones with music studios inside them. Should we not similarly regard ourselves as composers and performers? Cage emphasizes the social nature of this and, indeed, today "phone jams" are possible as people with the requisite technology play together to create music cooperatively on the fly. So Cage got this development bang on. A third way this distinction breaks down is, once again, because many diverse peoples have come into contact with each other. Places where these roles were never very distinct in any case have come into contact with those where they were and a reshuffling of the deck has taken place. Places where improvised music is normal have met those where it was not. And this changes, and opens, minds. I stop my flow here to note something Cage says in passing. 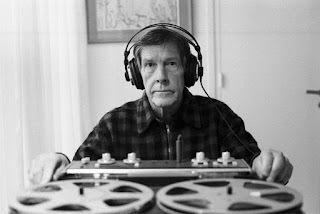 It is perhaps not widely known that John Cage was not a fan of recording his music or, indeed, of recorded music at all. He regarded recordings as, in some sense, dead music. He did not listen to much recorded music and was less than enthusiastic about the recording of his own works. Here he notes that "the popularity of recordings is unfortunate". He thinks this is so not only for musical reasons (think about all that is involved in a musical sense in the idea of setting one moment in time as a repeatable phenomenon) but also for social ones. The sense I get, and he may well make this explicit elsewhere, is that for him music is a living thing, a constant "nowmoment" or cornucopia of possible nowmoments. These happen live and cannot be captured or fettled into some perfect, preserved form (god forbid!). If you think that music is all around us and alive because all sound is music then what could be the musical relevance of saving and repeating some of the sounds when an endless supply is always at hand? The captive form cannot compete with the living, unpredictable experience. Here in this case Cage argues that it is not the task of music to be collected together in some recording so that one person may experience it but it is, instead, the task of music to bring the actual people together, blur the roles of composer, performer and listener and bring all the people together instead. Thus, he will mention with favour the jam session and the music circus. Cage goes on to note that musical changes have accompanied societal changes and, indeed, the world of the 1970s was not the world of the 1930s and 1940s. This societal change has only increased since Cage wrote and so has the music. Cage, like Morton Subotnick, foresaw a time when ordinary citizens, not composers or musical performers, would have music-making possibilities in their own bags and pockets and, indeed, we are now in that time surrounded by more people of more differing backgrounds than ever before and with the possibility to converse and communicate musically with people from pretty much any country of the world. This cooperative, cross border music-making vision is something that chimes well with Cage's political beliefs as one who thought that the best government was the one that didn't govern (because it didn't need to). But there is another point embedded here in this which needs to be teased out. This is that while Cage conceived that "revolution remains our proper concern" he didn't think this was something we should plan or stop what we were doing to initiate. He thought that revolution was properly that thing that we were at all times already within. This is not simply a political point but a thoroughly musical one as well. It is, as he quotes M.C. Richards, "an art of transformation voluntarily undertaken from within". I wonder how many people conceive of their music as that or how many even realise that their music could be transformative? Is it the case that many are happy with their therapeutic twiddling, unaware of the power that lays in their hands? This is not thought of as an explosive, violent phenomenon but as revolution as evolution, the music that changes us and so the world. You see, for Cage this all fits together as one organic whole. Music is not a discreet subject for him, governed by archaic and artificial man-made rules. Music is not something you set a time period aside for to do. Music is life and life is music. What you do in one, you do in the other. What you do musically reflects and affects who you are personally and, by extension, socially. Cage sees his band of future musicians as ready for a new world and as taking part in bringing it about. This is a very particular vision and it embroils music in things much wider than itself from the point of view of those who don't see things this way. So Cage is in an entirely different word from people, for example, who fetishize machines or regard what you use as important. We would not find him saying how great this equipment or that equipment is. He would not like the idea of electronic musicians being led by the nose by manufacturers who egg on the notion that unless you have this device then your musical life is somehow incomplete. Indeed, Cage expressly says in "The Future of Music" that "Musicians can do without government." Cage almost seems to suggest that the kinds of music you make will reflect the kind of person you are and the kind of society you envisage. He speaks of "the practicality of anarchy" and of "less anarchic kinds of music" that example "less anarchic forms of society". The message here seems to be that what you are and what you value will be shown through your music. Its as transparent as night and day if you have eyes to see. Do you value the authority figure, the "composer and conductor, the king and prime minister"? Is music for you about being dictated to from on high by the intentions of others? Or is it something else? Cage sides with social, non-authoritative, intercultural music, music that displays anarchic tendencies, for this is how he wishes the world to be. But this should not be regarded as a dumbing down for Cage explicitly praises the virtues of musical hard work in "The Future of Music". There is a section of this paper in which Cage talks about "the demilitarization of language" which he regards as "a serious musical concern". The metaphor comes because language is regarded as syntactical in nature, like a marching military. Cage says that it dawns on him that "we need a society in which communication is not practiced, in which words become nonsense as they do between lovers, in which words become what they originally were: trees and stars and the rest of the primeval environment." But this concern is a matter of work for it will not come easily. As a former member of the military myself I know that such discipline and uniformity is taught for a reason. It is so in an emergency you will just do what is required without thinking. It has literally been drilled into you. But, when musically applied, this is seen negatively by Cage who, as stated, wanted the intimacy of a lover's communication rather than the syntax of a military language. The response is work to make this so and the realisation that it may take Herculean efforts to bring it about. Cage notes that a number of his pieces are very hard to play and recounts how some of his commissions came with the request that they be easy to perform (which disappointed him) and his eyes light up at the players who, having realised what they are being asked to perform will be difficult, relish the opportunity. He praises those, such as David Tudor, who premiered many of Cage's works before he himself took up composing mostly electronic works himself, as one who worked hard to expand and modify his own playing techniques, in his case on the piano. Cage reserves special mention for the field of electronic music in which "there is endless work to be done". Cage gives his own definition of music (which he was often asked for) as "WORK". This, he says, is his conclusion 40 years into his musical career. Cage closes his paper on the future of music with a story about Thoreau who, it seems, accidentally set fire to some woods in preparing some food. He ran to try and get help to put out the fire but the nearest settlement was too far away and he was too late and a decent area of the woods burned down. Yet Cage reports that Thoreau noticed that the people who finally came to dowse the flames were happy for the opportunity of an adventure (all except those whose property had burned down, that is). After this episode, Thoreau met someone skilled at burning brush and, observing his methods and talking to him, developed new ways for dealing with fires and fighting them successfully. He also listened to the noises fire made as it burned, remarking that you can hear this same sound sometimes in any small fire you might make yourself for domestic purposes. He also remarked that fire is not only to be regarded as a bad thing. Indeed, it is now more than ever widely understood that fire can serve a cleansing function in the environment. It ventilates the forest floor and provides a new start. It acts as a quite natural cleaning agent if left to itself in a world not bound up with fabricated and artificial human concerns. But what's the musical application here you are wondering? It is that "everybody knows that useful is useful, but nobody knows that useless is useful, too." This is a reference to a saying of Chuang-tzu in a book Cage received as he was writing "The Future of Music" and it seemed relevant to him. It is, as is normal for Cage, a reminder not to cast aside things because they are thought irrelevant to what is regarded as music conceived as a canon of ideas, a discreet subject. It is a reminder that music is all and not just some. I have reported here only a few of the ideas Cage mentions in this paper. The paper itself is overflowing with both them and directions for music to take in the future. Cage was truly prodigious, "a genius inventor" as his former teacher Schoenberg called him. It is from Cage that I get the notion that it is the idea that is the primary currency of music. Professionalism be damned! "The usefulness of the useless is good news for artists. For art serves no material purpose. It has nothing to do with changing minds and spirits. The minds and spirits of people are changing. Not only in New York, but everywhere. It is time to give a concert of modern music in Africa. The change is not disruptive. It is cheerful. A very nice and thoughtful distillation of Cage and his philosophic outlook on music and the future of music. I enjoy your essays, even if I don't agree with you at times. Keep it up.